“Stick and stones….” We all know that phrase is not true. 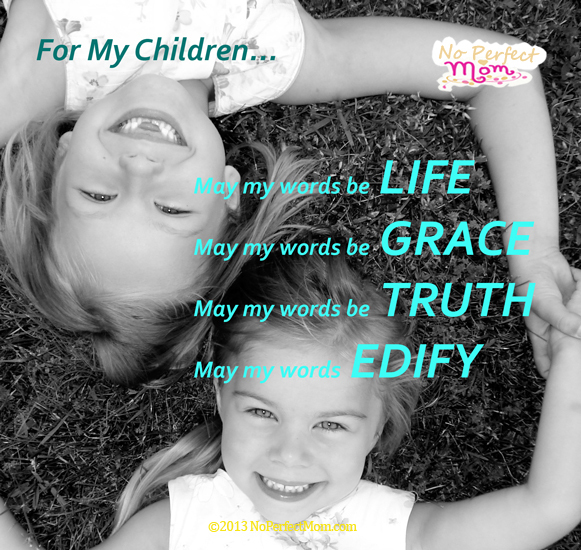 We need good reminders that our words have an enormous impact over our children. There are so many studies that proof positive parenting and positive words are healing, edifying and uplifting to children’s self esteem and even brain development. 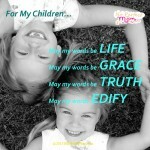 So every time we speak to our children, let our words be life, grace, truth and edifying.